We’ve eaten the turkey (or tofurkey) or ham or turducken and are SO over the leftovers. Some of us may have scrambled to the shopping centers at 5 a.m. or purchased a trinket or two on Small Business Saturday. Doorsteps will soon be overflowing with Amazon boxes from Cyber Monday. It’s time to reflect on another day that kicks off the holiday season, Giving Tuesday. Giving Tuesday is simply a day to reflect on what we as individuals can do to help improve the state of things. Whether that relates to people, animals, public services, conservation or any number of issues. It is a day that encourages charity—through donation, volunteerism and general goodwill. It is a day to ponder how small acts can add up to make a large impact. In addition to our outside interests, our staff takes part in fundraising and events for our non-profit clients. We consider this to be not only a good time—but a privilege, a way to share in their work beyond creative design. 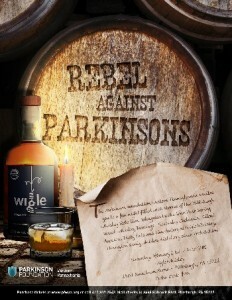 Throughout 2015 Apple Box staff attended numerous events for the Parkinson Foundation Western Pennsylvania including Rebel Against Parkinson’s at Wigle Whiskey. 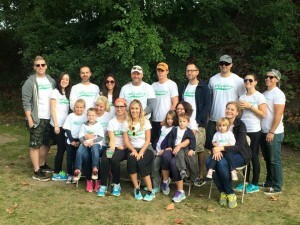 We passed out tulips and raised awareness on the streets of Pittsburgh for Parkinson’s Awareness month in April, played a foursome at the 6th annual Play for Parkinson’s Golf Outing and fundraised and walked in Step Forward, and event to fight Parkinson’s. Parkinson Foundation Western Pennsylvania is a non profit that is near to our hearts, and we applaud our Creative Director Mike Wertz as he takes the reigns as the Board of Directors President in January. To learn more about PFWPA and how they are making a difference to those affected by PD and their families, click the image below! We are also fortunate to work with larger companies that believe in giving back. Northwood Realty Services hosts a golf outing every year that is attended by our staff. All proceeds from the outing go directly to the Northwood Charitable Foundation. Established in 2006, the Foundation offers financial support for local housing-related charities. 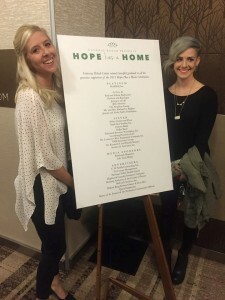 To date, the Foundation has raised more than $200,000 and has donated more than $150,000 to organizations including Habitat for Humanity, Homeless Children’s Education Fund, Homes for Our Troops, World Vision, Beatitude House, the Estelle S. Campbell Boys & Girls Club, Gifts for Garrett and The Fisher House. Most recently in November the entire Apple Box Studios staff attended the Gateway Rehab Hope Has a Home event and fundraiser. We were treated to a revealing interview with Saturday Night Live Alum, Darrell Hammond. We support Gateway Rehab’s efforts as they promote personal recovery and self-renewal, and have found working with this nonprofit to be extremely rewarding on a personal level. We look forward to helping Gateway Rehab with its mission to help all affected by addictive diseases to be healthy in mind, body, and spirit. Happy #GivingTuesday to one and all!